for decades have been ignoring. salinomycin has the ability to selectively kill cancer stem cells (Gupta PB. cancer stem cell activity was identified. 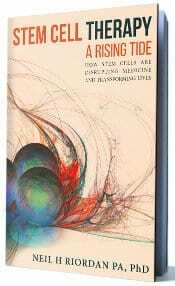 has the ability to slow down multiplication of breast cancer stem cells. enough doses can be safely administered. culture plates that represent a three-dimensional cancer. of the functional tumor stem cell compartment. suggesting at least a partial degree of selectivity. deacetylase (HDAC) activity. HDAC are proteins that are involved in "bundling"
(Burzynski, The present state of antineoplaston research, Integr Cancer Ther. suppression of tumor stem cell activity. agent in suppressing cancer cells in a non-toxic manner. for ability to target cancer stem cells. manufacturing can be relatively standardized. in which adult cells take the phenotype of younger cells. This is in cancer. then they can be expanded and used as a substitute for embryonic stem cells. another approach was described to increase efficacy. generation, as well as, alleviate the need for the oncogene c-myc. getting closer to this dream at a very fast pace.